يضمن فندق Sussex Street – Adelaide DressCircle Apartments الذي رمم في 2003 لزائريه قضاء وقت ممتع في أديليد، سواء جاؤوا في رحلة عمل أو سياحة. يحظى هذا الفندق ذو 4 نجمات بمكان ممتاز يسمح بالوصول إلى المعالم السياحية الأكبر في المدينة، فهو يبعد مسافة 2 KM عن صخب المدينة. سوف يعشق النزلاء موقع هذا الفندق، فهو قريب من أهم المعالم السياحية في المدينة كمثل اديلايدي زو, Womens And Childrens Hospital, اديلايدي . إن الخدمات الممتازة وحسن الضيافة العالي في Sussex Street – Adelaide DressCircle Apartments تجعل إقامتك تجربة لا تنسى. إن واي فاي مجاني في جميع الغرف, تسجيل وصول/تسجيل خروج خاص, تسجيل وصول/خروج سريع, تخزين الأمتعة, واي فاي في المناطق العامة هي جزء فقط من الخدمات التي تميز Sussex Street – Adelaide DressCircle Apartments عن باقي الفنادق في المدينة. تعكس غرف الفندق البالغ عددها 18 المنتشرة في 1 طوابق جواً من الدفء والألفة.خدمات عصرية مثل تلفزيون بشاشة مسطحة, اتصال لاسلكي بالإنترنت, اتصال لاسلكي بشبكة الإنترنت (مجاني), غرف لغير المدخنين, مكيف هواء موجودة في بعض الغرف المختارة. يمكنك الاستمتاع بالأجواء المريحة التي تقدمها مسار جولف - ضمن 3 كم, حديقة طوال النهار. إن Sussex Street – Adelaide DressCircle Apartments هو خيارك لخدمة الفنادق الراقية في أديليد. The location was rather convenient as it was only a 5 minute drive to shopping area. It felt like I was living in Adelaide as it's in between other houses and apartments. The kitchen was fully equipped with all the utensils that we needed to cook our own meals and it was very comfortable in general. Rather quiet and serene neighborhood. Although, they do have strict rules on the cleanliness of the area. Remember to take out your own trash before checking out to avoid extra cleaning! 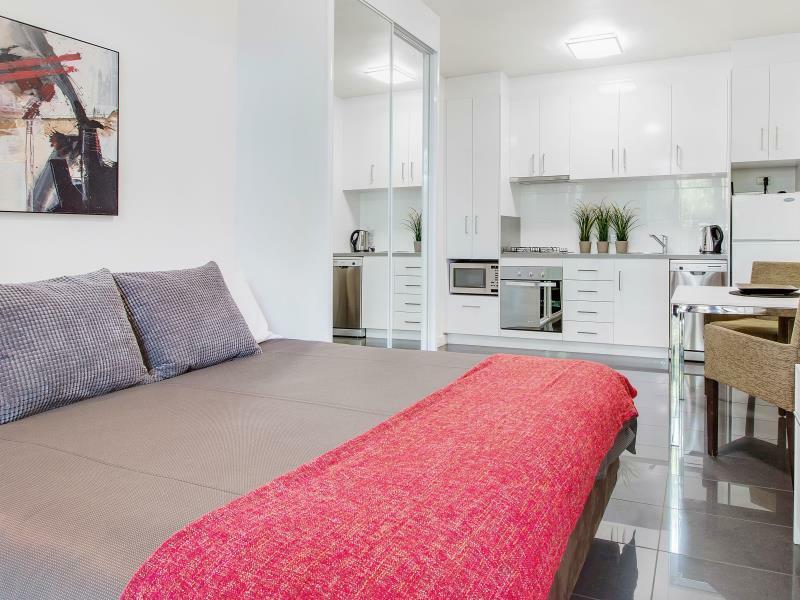 Clean and modern apartment. Had a good sleep because it's quiet. However the room is too small. Great location & close to Melbourne Street restaurants . Easy travel to City by bus if required . 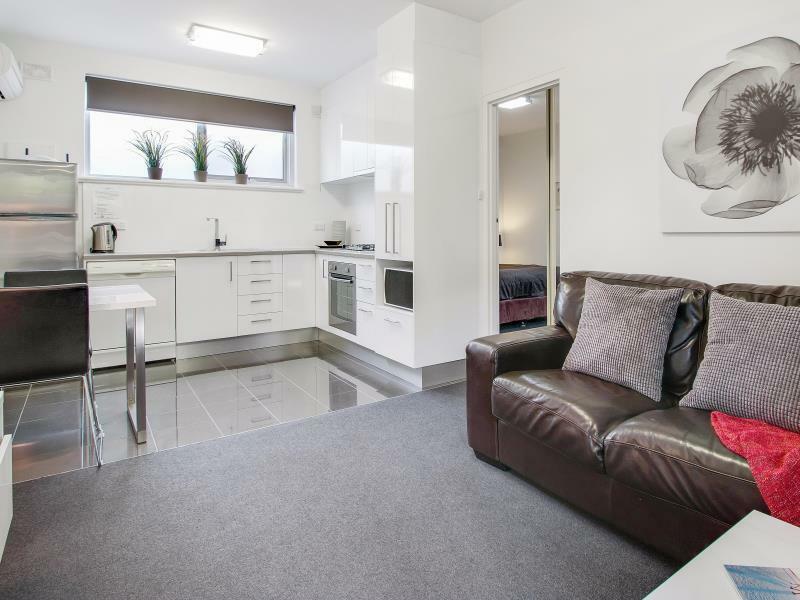 Apartment so well appointed with ALL necessities incl washer , dryer , large fridge & cooking provided . Very comfortable . We will return when next in Adelaide . In a quite street; close to the CBD; well equiped; helped by giving an early check in. I would definitely recommend the dress circle apartments, the staff were very pleasant and proactive after having made a booking with them and the room and location was excellent. Would definitely recommend 10 minute walk to Adelaide Oval, zoo and Botanic Gardens also Women's and Children's Hospital. Comfortable bed. Very clean apartment. Washing machine and dryer is convenient. Great location near Melbourne Street bus routes. The tradies staying at the apartments went to work at 630am and woke me most days when shutting their apartment doors and screen doors loudly. They also left the main security gate open on many occasions. There is a vibration in the wall of apartment 8 from the air-conditioning unit. The wall vents on the outside of the building adjacent to apartment 8 need clearing of insect debri as i could hear people talking in unit 4 below. Apartment with open kitchen style, I feel very modern. Very clean and I can find all facilities for cooking , cleaning here. It is relative small size, so after cooking, you still can feel cooking smell in apartment. Location is good, only take about 10-15 minutes can arrive city center and central market (by car). Apartment is quiet. Apartment provide inside free parking. Staff is very helpful and prepare good arrangement for me very late check-in. We were pleasantly surprised with the apartment, beautifully clean, fully resourced, the welcome goodies were a lovely touch! Would definitely recommend! Needs updating. Very noisy ground floor apartment (1/32 Sussex). Staff and check-in system are brilliant! It was great - staffs sent us reminders before day of arrival for clear instructions on how to obtain keys. They even provided a welcoming folder that includes various Adelaide tourist information, which we found we useful. Only issue was the mattress on a softer side but overall experience is great. 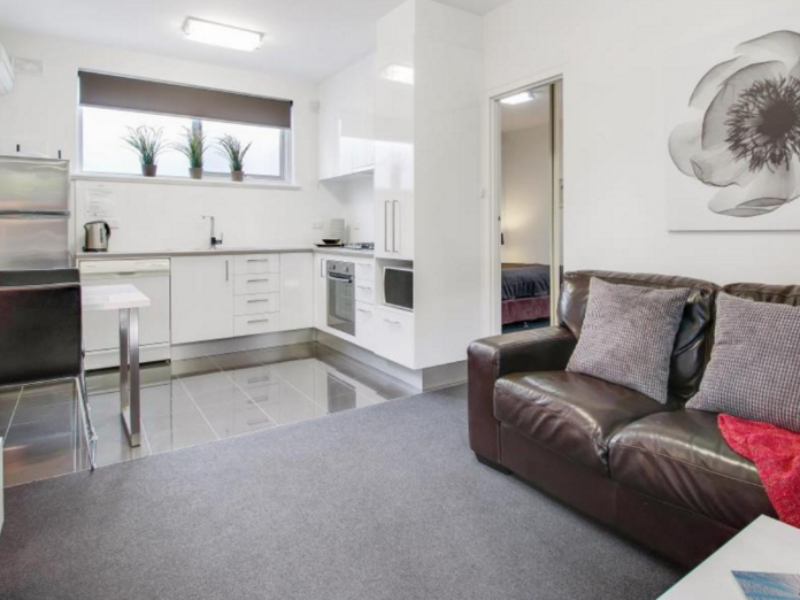 This may be a good apartment for an australian family having a car with them travelling from other state to Adelaide, who knows of the general condition and practice of Australia. But I think this is not a good hotel for overseas tourist without a car, like us. There was actually not much support and suggestions from the apartment staff (apart from providing us with maps and local tour guides). For every destination and enquiry, I need to check it up myself on internet (whereas normally a star rated hotel and its staff can explain to me clearly and suggest a way how I can get to my destination). A bit disappointed. We had a great time here. 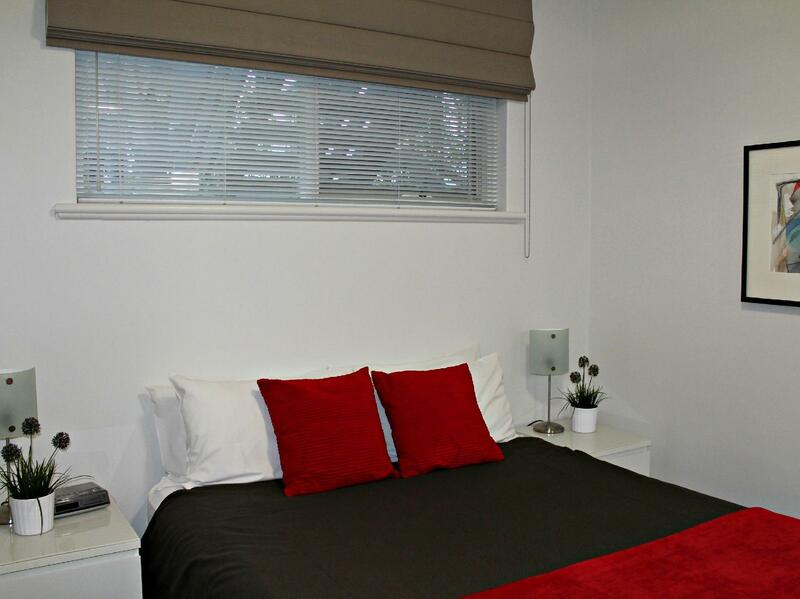 Everything is very handy, free bus to the city & surrounds within 5 minutes walk. Fully self contained, restaurants close by if you like. Dresscircle was a great place to stay. It was ourselves and put 12 month old in a one bedroom apartment and was fantastic for our 4 day stay. Our daughter could walk around out in the shared courtyard and it was totally enclosed with a locked gate so we knew she was safe. Facillities were close to a little store and about a 15-20 min walk to oconnell st and the womens and childrens hospital. We loved it and will be staying again. It was a very nice experience staying in adelaide dresscircle apartment. The staff provided us with a package telling us the spots and transportation around which is very helpful upon our arrival. The apartment has provided us with full kitchenette which allowed us to cook a few asian meals after having heavy western food in australia. An episode that i must mention is that We left at 4ish early in the morning on the last day to catch out flight, but i realized i lost sth very important. I struggled to call the staff at 5 in the morning and asked them for help to open the door and gate for us to check our lost property. The staff was very helpful and even helped us looking for the lost property after opening the door for us. We really appreciate that! Overall my stay was good. A noise policy may need to be included in the hotel's Terms & Conditions as another traveller was playing loud music at about 8am on the day of my check-out. It was Great. had all the cooking facilities as well as washing machine and drier. easy to get around and close to local shops.